As world famous refrigeration equipment supplier, Aucma is one of the global leading manufacturers for Refrigeration, Environmental EV and Household Appliances. Aucma has been No. 1 on domestic sales volume for freezer products consecutively for 18 years till 2013. Aucma Co., Ltd. was established in 1987 and got listed on A Stock Market of Shanghai Stock Exchange on Dec 29, 2000. Always aiming to be the most reliable refrigeration equipment supplier and refrigeration expert of the world, persistently carrying on motivating technology innovation in refrigeration industry, Aucma has shaped the multilevel and internationalized industry pattern with freezer, refrigerator, commercial cold chain products as core business, with ultralow temperature equipment, electric bicycle, washing machine, household appliances and automatic vending machine as development business, and with cold chain logistics equipment, new energy electrical tool vehicle and new energy home appliances as future business. 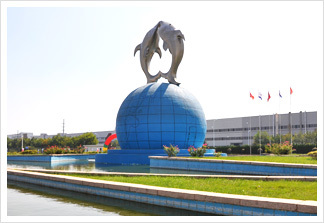 With over 7000 staff, Aucma has annual output capacity of 3 million units for freezers, 3 million units for refrigerators, 5 million units for household appliances, 4 million units for washing machines, 1million units for EV and 10000 units for automatic vending machines, and has set up strong sales network covering more than 100 countries and regions of 5 continents with vigorous business growing trend. Taking refrigeration industry as our core industry, Aucma has been maintaining the international leading position in more than 10 technology areas including frequency conversion, quick and deep freezing, ultralow temperature, constant temperature, environmental energy-saving, intellectualization, green fluoride-free, MEP fresh-keeping, Internet of Things, new energy technology R&D and application. And we have successfully launched the first unit of intelligent frequency conversion freezer, freezer of IoT, Smart cloud network refrigerator, high-class 5 hinged door refrigerator, -150°c ultralow temperature freezer, solar energy and wind energy freezer, and many other new products etc, which has been constantly leading the development orientation of refrigeration industry of China. As national brand, taking ELABORATION MAKES THE EXQUISITE, THE EXQUISITE MAKES BRAND as our consistent quality belief, Aucma has adopted 6 SIGMA international advanced system management concept through over 1000 items of strict and precise control in the whole process of R&D, manufacture and services, all of which has gained Aucma the extraordinary quality. We have built up the long term partnership with domestic and overseas famous brands like Siemens, Electrolux, Nestle, Coca Cola, Sinopec, Yili, Mengniu, Nongfu Spring and Huiyuan etc, with complete set of cold chain solutions. To construct our beautiful China, to develop ecological civilization, and to leave our descendants with a wonderful homeland of blue sky, green land and clean water, is the bounden responsibility and obligation of every enterprise of China. Paying significant value on the environmental protection from company strategic level, Aucma has been promoting the environmental protection belief and measures in the whole life of our products, like green design, green fabrication and green recycle etc. Aucma has obtained the Gold Prize of the 1st Session of Ozone Protection Contribution Award by National Environmental Protection Bureau and has been elected and honored as Green Enterprise of 2012 by China Society of Environmental Sciences and Sina Environmental Protection Channel. Aucma products have passed various certification of ROHS and WEEE of EU, UL of USA, CSA of Canada, GOST of RUSSIA, COA of AUSTRALIA and etc. We realized zero complain on the 200,000 units of freezers shipped to North America in 2002, which created a quality miracle and gained Aucma high reputation all over the world. With Aucma’s brand value increasing continuously, Aucma has been one of the most valuable brands of China, and has its brand influence continuously expanded on the international stage. Aucma has been awarded as China Famous Trademark, China Well-known Product, China Famous Export Brand with National Key Support and Promotion, Most Influential Brand among Chinese Consumers and etc. On R&D, Aucma has obtained State-level Enterprise Technology Center Achievement Prize, China High and New Tech Enterprise of National Torch Plan and etc. We have accumulatively applied for over 1300 patents and participated in drawing up and amendment on more than 20 State-level standards. To build the First Brand of freezer in the world, and to be the most trustworthy refrigeration expert of the world, Aucma will firmly stick to this goal, continue in-depth study on cryogenic and quick freezing technology, be the leader and propellent in this area, and be the leading supplier and service provider of cold chain logistics, biological cold chain, ultralow temperature equipment, and be leading brand of domestic new energy EV.